Join us for Constituency Days at Westcliffe Mall! Let's find a way to keep Auchmar public! 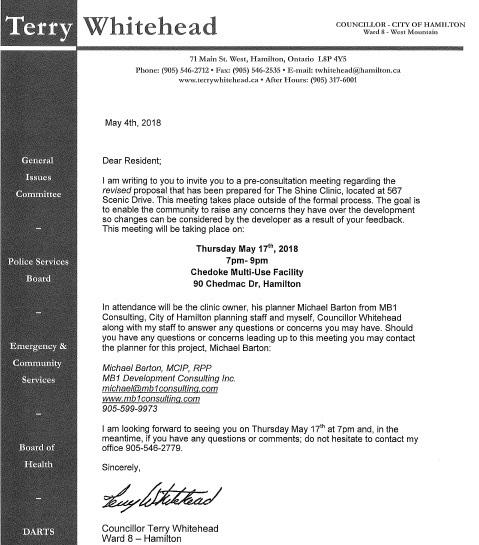 Terry Whitehead is the Hamilton City Councillor representing the residents of the West Hamilton Mountain. The boundaries of the West Hamilton Mountain – Ward 14, are from Ancaster on the West to Garth Street on the East side, and from the West Hamilton Mountain Brow to the Hydro Corridor south of Rymal Rd West. 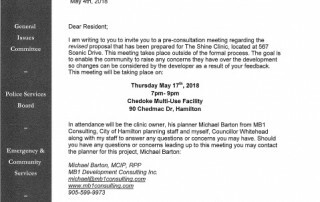 Residents of the West Hamilton Mountain – first elected Councillor Terry Whitehead in 2003. Thank you so much for dropping by the official website for West Hamilton Mountain – Ward 14 Councillor Terry Whitehead. On our new and improved site you’ll find links to the budget for 2019 as well as the projects specifically taking place on the West Hamilton Mountain. We’re also including a new section on upcoming road work so you’ll be sure to know when a local street or arterial road in Ward 14 is going to be closed for short term or long term repair.